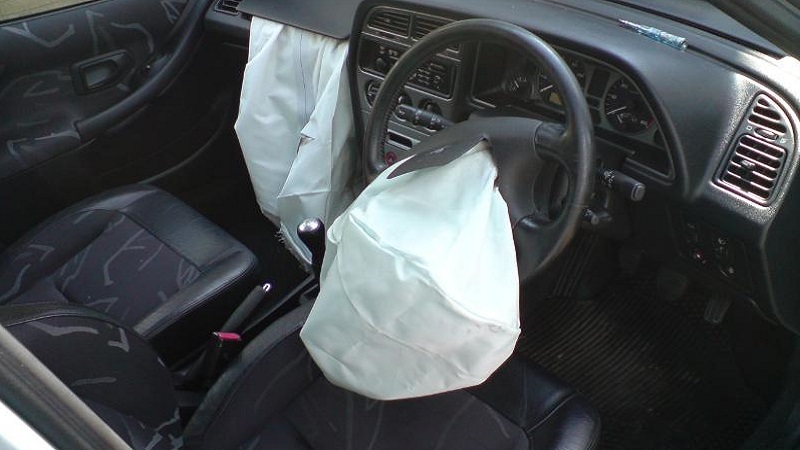 The airbags are one of the key safety and lifesaving equipment in a vehicle. The airbags show their real worth in case of any emergency brakes or during any unfortunate road accidents by saving the driver and the passengers from any serious injuries to head and other parts of the body and possibly even save their life. When the airbag light on your vehicle starts flashing, you need to find out the reasons behind it so that in case of any unfortunate emergencies, the airbag doesn’t leave you unprotected by not deploying. Here are some of the possible reasons for your airbag light to start flashing. This information will also help you to resolve the problems as well since you need to know the problem in order to solve it. One of the possible and more common reasons to make your airbag light flash is depletion of the battery backup of your airbag. This could be caused by the recent draining of the car battery. This problem is usually removed by itself when the battery is fully recharged but you might need to remove the soft-code error from the airbag control module with a Scan-tool to correct this problem. The main function of the airbag clock spring is to maintain constancy between the airbag of the driver’s seat and the electrical wiring. The airbag clock spring maintains this constancy by entwining in and out in respect to the steering wheel. The thin circuit bands may become worn or brittle and can cause the airbag on the driver’s seat to report a Soft-code error to the airbag control module which will make the airbag light to start flashing. The reason for the wearing down of the circuit bands is due to the long use. The clock spring problem cannot be determined by yourself and the vehicle must be taken to a repair shop so that the flashing airbag light of your car could be diagnosed with a Scan-tool. The technician will determine with the Scan-tool whether the airbag clock spring needs to be replaced. The airbag control module is usually located underneath the driver seat or the front passenger’s seat in most of the vehicles. Therefore, if a vehicle has been damaged by the water, even lightly corroded, the airbag control module is exposed to the moisture which could short it out or fall victim to corrosion. An airbag control module, when shorted out or corroded, will generate a DTC code right away which will make the airbag light of your vehicle to start flashing. The modules which have been damaged by should be replaced immediately for your safety since they will keep on making the airbag light of your car to flash like a search light.